Themed Diversity at Campuses: the Way Forward, INTI’s International Education Summit was held for the first time to promote dialogue on international student issues among educators and the development of a network of international student services professionals. Gracing the event was YB Datuk Mary Yap, Deputy Minister of Education Malaysia. “At INTI, 20% of our student body consists of international students from over 60 countries. This diversity is essential in the current education environment, as these international students provide an international viewpoint to classroom discussions and enrich their peers’ perspective by sharing their diverse cultures, approaches and experiences. This unique learning experience that all these students – international and local – benefit from is absolutely crucial to prepare them to be great future global citizens,” said Rohit Sharma, Chief Executive Officer, INTI International University & Colleges. INTI provides education with a strong emphasis on ‘Student Experience’ where it services, plans and designs learning based on the knowledge and principles of student-centred learning. 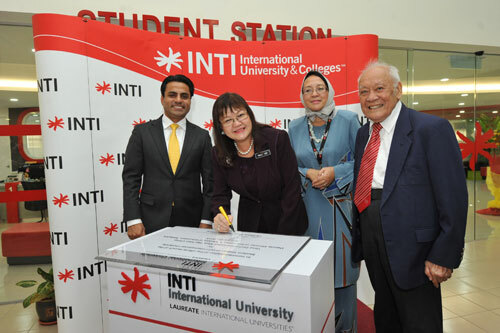 INTI’s focus on being student-centric caters well for both Malaysian and international students. To ensure students’ needs are taken care of in a timely manner and in a welcoming environment, INTI introduced the Student Station, a one-stop centre that offers centralised services to help students with their non-academic needs, which was launched by Datuk Mary Yap. “Enhancing student experience, which covers all aspects of student life – academic, social, welfare and support – is essential. We want our students to not only excel in the classroom, but to have an active student life outside the classrooms. This is part and parcel of the holistic and innovative education that we offer, as we believe that this rich experience will help them discover their true passion and build their confidence, which is critical for their own individual development,” said Rohit. INTI’s approach to education and successful graduate outcomes involve the provision of the most international, innovative and individualised education. To help students develop their full potential, individual development is emphasised and this involves the student’s journey of transformation to become a competent graduate via a self-discovery and development plan using personality assessment tools, industry talks, and career camps. 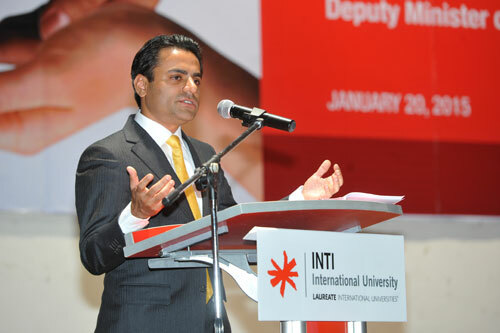 To prepare students for the global workforce, with the ability to work in diverse teams, practice solving real-world problems, and understand the global business climate, INTI equips students with 21st century skills encompassing the 4 C’s: critical thinking, communication, collaboration and creativity. Organised in partnership with Universiti Kebangsaan Malaysia and Taylor’s University, the International Education Summit included workshops on internationalisation of campuses and creating a sense of belonging among international students, an international student forum and a keynote address by renowned educationist Professor Dato’ Dr. Morshidi Sirat, Professor at the School of Humanities, Universiti Sains Malaysia, Penang; Senior Research Fellow at the National Higher Education Research Institute (IPPTN); and Founding Director, Commonwealth Tertiary Education Facility (CTEF).